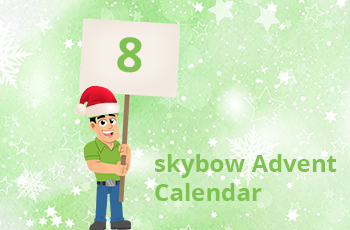 Advent Calendar Door 8: Dynamic and user-specific forms in SharePoint. Creating a user-specific, content-specific or situation-specific SharePoint form has always been a struggle. 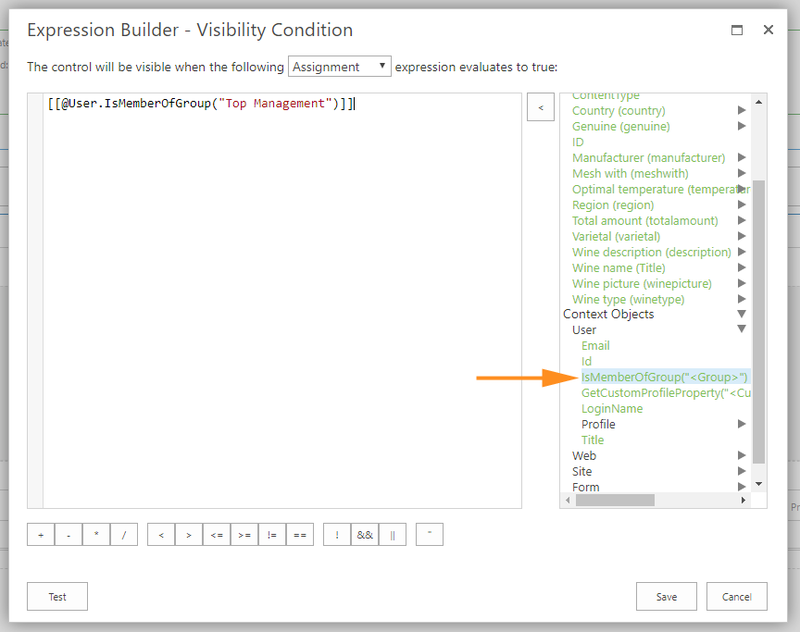 Both skybow Solution Studio and skybow Rich Forms make this task super easy to achieve by setting visible and/or enabled properties on the container controls. 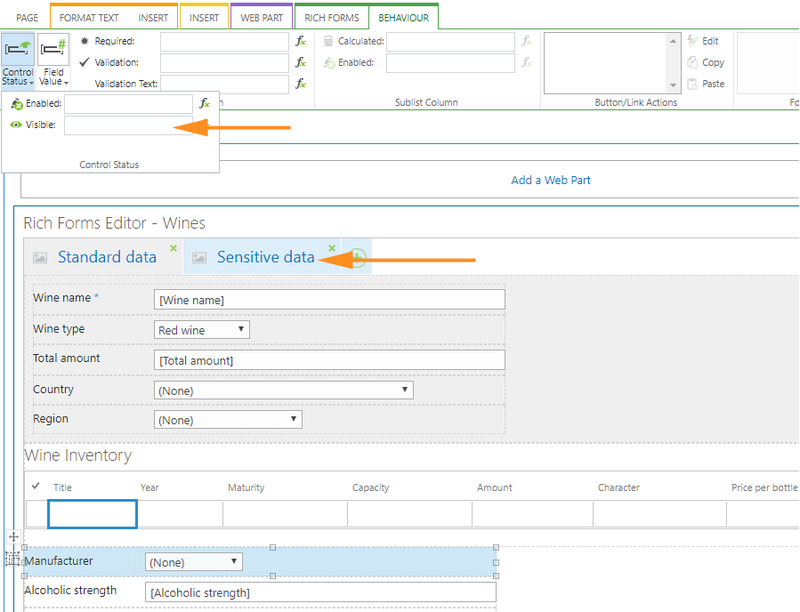 Simply select any control, or control container, and set the condition when it can be visible. In our example here, we want to set the “Sensitive data” tab, and all the controls inside it, visible only to the users who are members of the “Top Management” group. To achieve that, we will open the “Visible” behavior of any element on the form, either a single control, or container control which contains multiple controls, and use the function “IsMemberOfTheUserGroup” to check the group membership. In this example, we have made the tab “Sensitive data” visible only to the members of the specified SharePoint group. [[totalamount]] > 10 && [[@User.Profile.Office]]==="Germany"
As you see, this way you can make dynamic forms in SharePoint in no time, and without deep development knowledge. Because skybow.